Sale-a-bration has officially arrived and that means fabulous exclusive free stamp sets are available with every $100 customer order placed. As a Hostess you can earn a free set with $600 in workshop sales as well as earning your own free set with a $100 purchase. 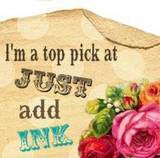 But it gets even better, join my Stampin' Up! team during Sale-a-bration and choose a free catalogue set up to the value of $79.95 to add to the already great value Starter Kit. The project above is from the Sale-a-bration catalogue. 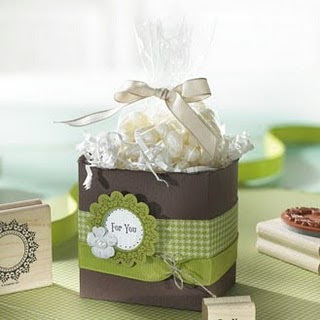 A very sweet way to package a little gift. Be sure to call me soon to book your Sale-a-bration workshop.